The assault occurred in Londonderry city centre. 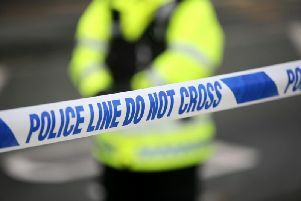 A 19 year-old man was fatally assaulted in Londonderry city centre on Sunday. The incident occurred in the William Street area at approximately 2am on Sunday. Detective Chief Inspector Geoff Boyce of the PSNI Serious Crime Branch said : “Police received a report of an assault around 2.15am and attended the scene alongside the NI Ambulance Service. “We believe that the victim was in an altercation with another male and was seriously injured during an assault. He was taken to hospital but died from his injuries a short time later. “Police are aware that many people were socialising in William Street earlier this morning and we would like to hear from members of the public who witnessed an altercation in William Street between approximately 1:45am and 2:15am to get in touch with detectives at Strand Road on telephone number 101, quoting reference number 228 of 24/9/17. SDLP MLA for Foyle, Mark H Durkan, expressed sadness following the death of the man. "There is a real sense of sadness and shock across Derry today as the city wakes to the awful news that a young man has lost his life as the result of an incident in our city centre last night.